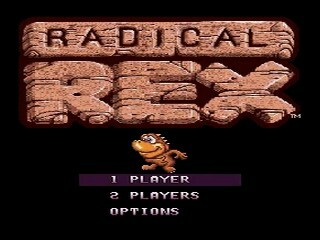 Created in October 1994 by Beam Software, Radical Rex is a 2D platforming game where Rex must save his land, and his girlfriend Rexanne, from an evil magician named Sethron. In his way are dinosaurs, sea creatures, and other monsters. Rex has a few abilities, including a roar that kills or hurts all enemies on screen, a fire breath which can temporarily immobilize enemies, and a bubble spray which he can use while under water.